spinning, sewing, crochet and other such stuff. I loved this square when I made it for my last granny square blanket, so I decided to make it again. I wanted to start changing the colours too as I realised that so far, I’ve been using a lot of pinks. This is my attempt to get more colours into the blanket. Here is my other attempt at more colour. 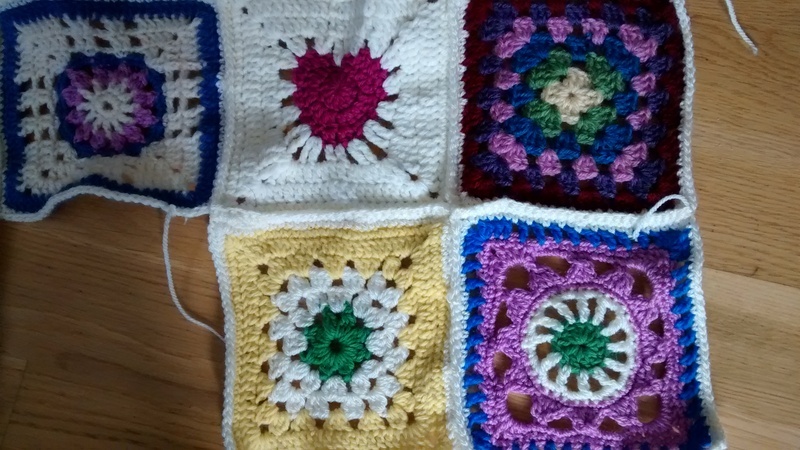 Now I know that I am meant to be working 1 square a week but I need to work 4 extra squares over the year to finish my blanket. 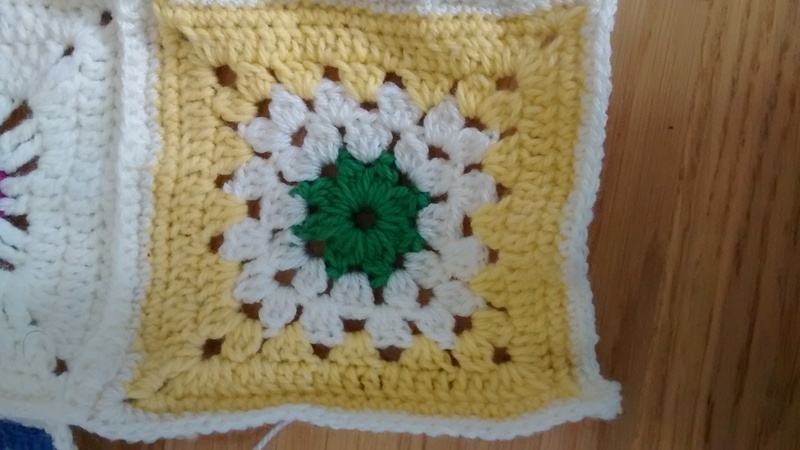 I always crochet more in winter so I decided to work another square this week. Yellow is my favourite colour. It’s such a sunny happy colour. There have been so many grey rainy days this winter that I decided to brighten it up with a sunny square. 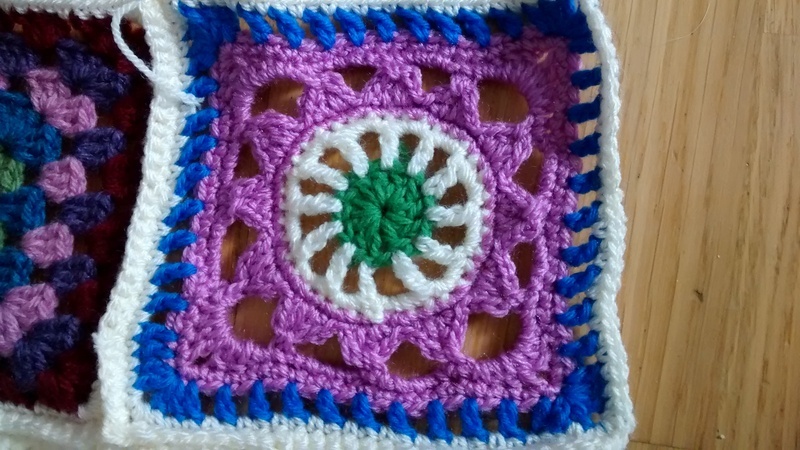 I really enjoyed making this square as I wasn’t sure what I wanted to do so I sat down with my yarn and hook and played until I had a square I liked. I’ll post the pattern when the little people let me sit down and post it properly!